Up until a short while ago, a good number of booksellers saw ebooks as a threat, about which they were quite reticent. But that point of view is now behind them. Today the Booksellers Guild of Catalonia introduced Liberdrac [“Book Dragon”], the first platform for selling digital books. According to its president, Antoni Duara, "it is a strategic bet and a point of innovation". As Àlex Manyé, Liberdrac's manager said, "Booksellers must adapt to the new changes in the way society works". 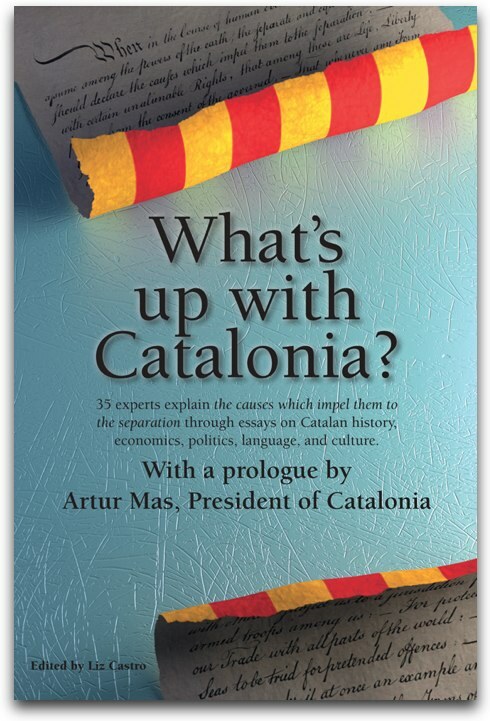 For starters, 40 booksellers in Catalonia are participating, but Antoni Daura believes that once the platform is fully functioning, next week, interest will expand quickly. The guild also wants to invite booksellers from Valencia and the Balearic Islands to be a part of the project. The first contacts have already been made with booksellers in Mallorca. Liberdrac began with an agreement with Libranda, one of the principal distributors of ebooks in the current market. But the managers affirm that there is no exclusive deal. For now, they have a list of 11,500 books, in Catalan and Spanish, and soon there will also be the ability to buy books in English, especially those from the academic world. 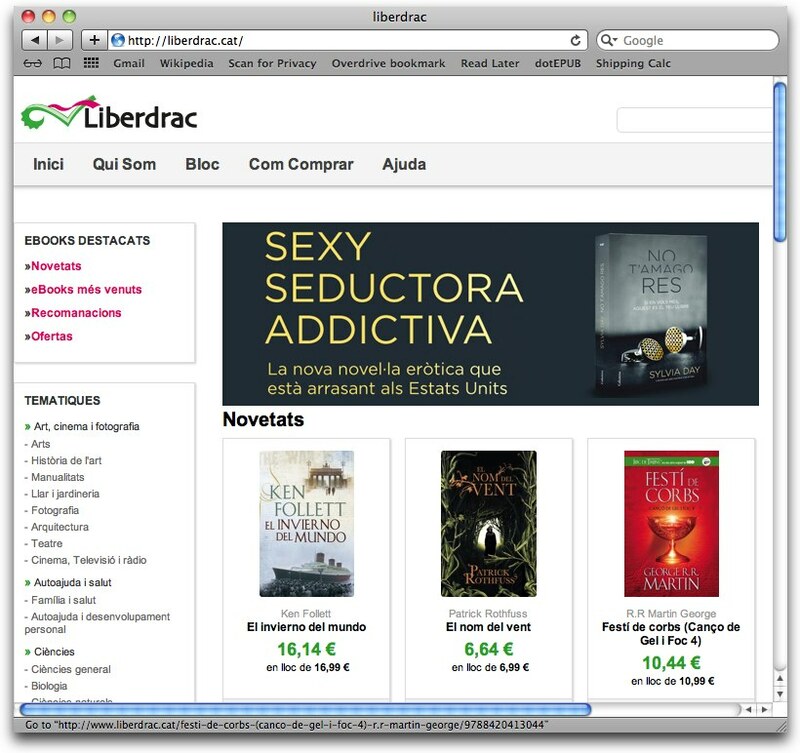 Liberdrac will sell digital books from its website and also from each of the booksellers associated with the project. For the smaller booksellers, it opens a new market, and for the larger ones, it will help reduce overhead. Liberdrac will also offer a next generation ereader device that it will update with new features. Antoni Daura confirmed that Liberdrac has been in contact with Edi.cat, a distribution and sales platform for ebooks for about 30 Catalan publishers. It was the first to appear and despite the market's limitations, continues to move forward. Daura also spoke of failed examples like 36L Books: For sure, a project like this one has risks, because it's a weak sector still, but we believe there is a big enough audience. There have been failures, here and elsewhere. But we believe that this is the moment to bet on digital books. Getting to a new market late can also lead to failure." In that vein, Marià Marín, technical secretary for the guild, explained that they have studied many different cases, especially abroad, in order to define the pricing policy, the distribution of profits, the structure, the judicial framework, the financing, piracy..."